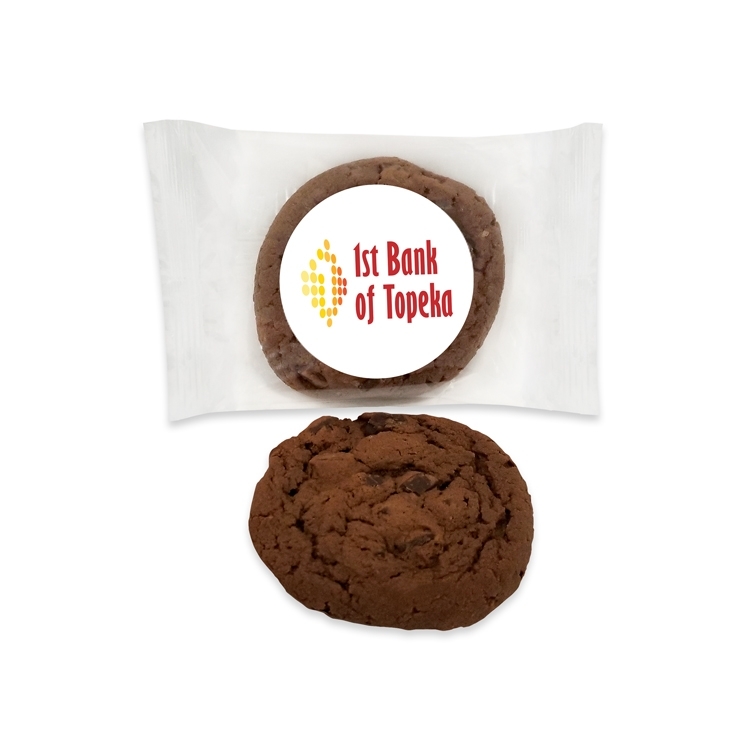 Thick and chewy home-style double chocolate brownie cookies are custom labeled and are great for tradeshow handouts, company events, and sales calls. Our soft-baled home-style brownie cookies are reminiscent of those from your grandmother's kitchen. Made from scratch using old family recipes they'll bring a smile to the face of each lucky recipient. Cookies are available in cases of 300, with a minimum order of 300.